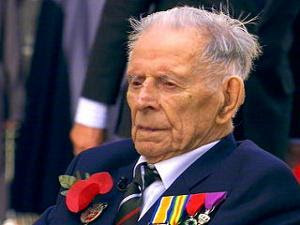 Harry Patch, the last survivor of World War I to fight in the trenches, has died. He passed away this morning at a care home in Somerset, aged 111. The home released a statement which read: “It is with much sadness that we must announce the death of Mr Harry Patch. Mr Patch was a machine-gunner in the Duke of Cornwall’s Light Infantry and fought during the Battle of Passchendaele, in Ypres, which claimed the lives of more than 70,000 soldiers. He became Britain’s oldest man when another veteran of the war, Henry Allingham, died a week ago. You are not being asked to do what these men had to, you are being asked to wake up and understand the reality around you. To do what you can by voting out the criminal elites, by writing and e-mailing, by protesting and supporting others, by helping your neighbour and standing side by side with those threatened by the system. All you are being asked to do is care. Just to care what you are leaving behind for the next generation. To take responsibility for now and stop the decline of our world into the hands of the criminal elites.